We knowmoving forwardmeans we allget there together. At National Grid, we value every walk of life. We work hard to create a work environment where everyone has the chance to voice their opinions. Because we know that having different perspectives makes us stronger – not weaker. It’s how we constantly and continuously push innovation and strive to create a better future for everyone. From web development to engineering to finance to customer service, and beyond, we look for talented people, ready to use to their experience to help push smarter, cleaner, and more resilient energy solutions into the future. Choose from a category above, or search for all experienced jobs. We have a solid foundation upon which diversity and uniqueness are recognized, celebrated, and strengthened. It all comes down to one thing. Making sure everyone knows they’re valued for who they are.
" National Grid embraces the full scope of inclusion and diversity. We have programs to ensure all our 16,000 US employees are valued, and offered equal opportunities to collaborate, contribute and succeed. We also continually work to make sure our workforce reflects the rich diversity of the communities we serve"
From the front lines to the power lines – recruiting veterans is the right thing to do and it's a smart business decision, for our company, our industry, and our nation. A skilled energy workforce is critical to our success, and we know military service has given veterans the training, experience, discipline, and leadership skills we need to help us succeed. At National Grid, we’re proud that we can pave the way for successfully transitioning veterans into civilian jobs. National Grid partnered with the Center for Energy Workforce Development and other utilities across the country to help create the Troops to Energy Jobs (T2E) initiative. As a result, we’ve increased our veteran hires from more than 100 since August 2013 to 435 employees who have self-identified as veterans. We use the T2E website to successfully match veterans and service members’ skill sets to positions within the industry, ranging from field operations, engineers, and analysts to the executive boardroom. The Veteran to Veteran (V2V) “buddy system” is an optional program that provides new veteran hires with the resources and support to successfully transition from the military to National Grid. This program is supported by the Veteran Employee Resource Group (VERG). Each new hire is assigned a “buddy” in their work location who has a similar background and who can offer ongoing advice and guidance as new veteran employees settle into their jobs. Buddies also provide information and resources on our corporate culture (including leadership qualities and Line of Sight) and guidelines for ethical behavior, inside the company and out. Nearly 400 members strong, VERG's mission is to foster an environment that provides opportunities for professional development and community building. It also creates a network of veterans and patriots who help the recruiting team attending recruiting events and helping new members with the V2V program. VERG also has a strong community presence, with veteran members participating in charitable fundraisers and events across our jurisdictional communities – ranging from Habitat to Humanity house builds, to veteran stand downs, to Welcome Home Wounded Warrior events, providing care packages to warrior’s oversees and helping at the VA hospital providing hot meal and care packages to the veterans. Recently, VERG was the recipient of the 2017 Chairman’s Awards in Exceeding for Our Communities, the highest National Grid Award for going above and beyond. 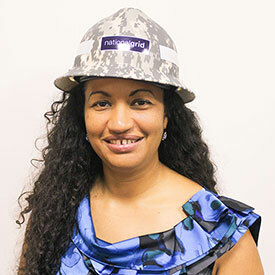 It is National Grid’s goal to provide veteran owned, minority, women-owned, small, sustainable businesses and all other diverse business enterprises an equal opportunity to participate in National Grid’s procurement and sourcing process. 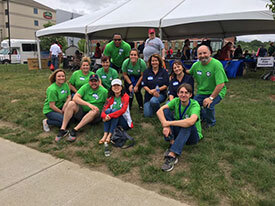 National Grid partners with SBA programs and other social organizations to provide a higher level of service and assistance to the veteran community.